At Advanced Dental Health, Dr. Todd R. Holton specializes in orthodontics, which is a dental specialty that focuses on the misalignments of teeth and jaw irregularities. He uses traditional braces as well as Invisalign (clear aligners) to make the changes needed to get the teeth moved into a healthy state. During your consultation with Dr. Holton , he will work with you to determine the right course of treatment depending your specific needs. Orthodontic treatment can take from six months to 36 months depending on age and the severity of the treatment needing correction. When children are around the age of seven, they have a mix of baby teeth as well as a few adult. This makes it easier to check for tooth and jaw problems. In our office, we will take a panoramic film of your child at six years old to have a base line to compare to as they grow. 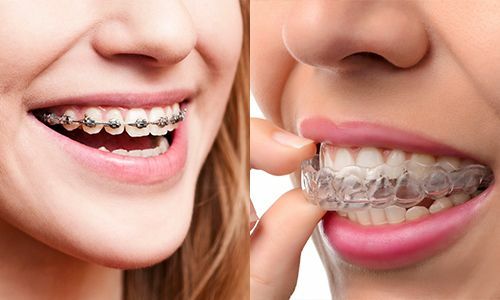 At Advanced Dental Health, we offer Traditional Braces as well as Invisalign. If you would like more information about orthodontic treatment, please contact us at 480-405-0300 to schedule an appointment with Dr. Kelli Hahn.